Enter to Win $2,000 Toward a Sofa or Chair at Our Boulder Norway Days Celebration! Please join us for a Norwegian-style celebration on Saturday, December 8 in our Boulder store from 11am-3pm. Come early and come hungry! Quantities of some furniture items are limited. And, Shine Restaurant will be providing delicious hors d’oeuvres during the event! Norway Days Sale Through January 14, 2019. But don’t worry if you can’t attend… the celebration of Stressless and Scandinavia will continue into the new year. *Entries must be received no later than January 13, 2019. Winning entry for $2,000 shopping spree to be drawn on January 14, 2019. Visit Forma Furniture for details. 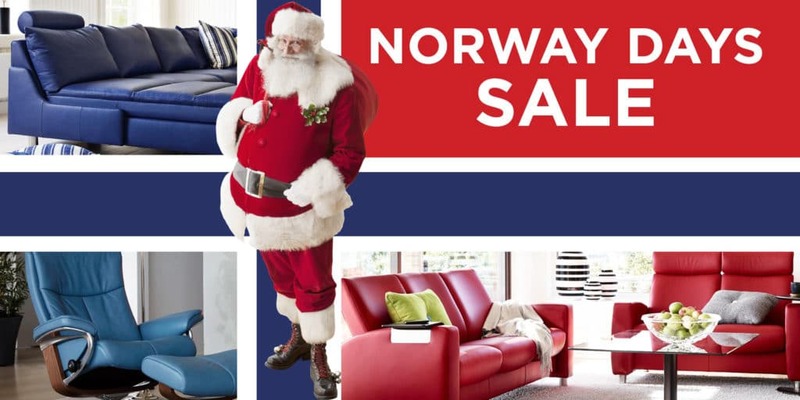 Norway Days Sale & Celebration December 8, 2018 thru January 14, 2019.